Land Rover has pulled off a very cool publicity stunt to celebrate 45th anniversary of the original luxury SUV. 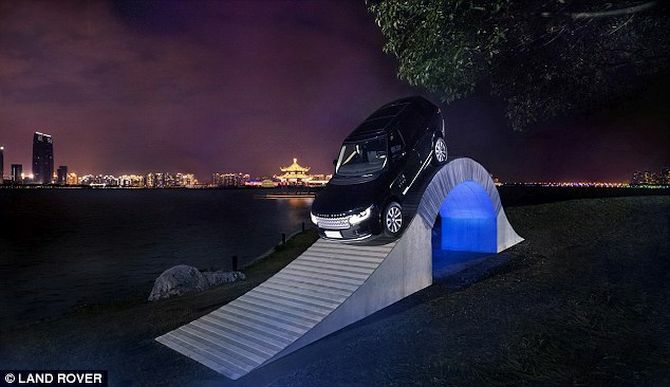 A jaw dropping act was demonstrated in China which saw a Range Rover SUV being driven over a bridge made entirely out of paper. The two ton SUV crossed the bridge which spans five meters and was 3.4 meters high. Introduced back in 1970, Range Rover was the world’s first luxury SUV, the first winner of Paris Dakar Rally and the first off-roader to get either traction control or ABS. 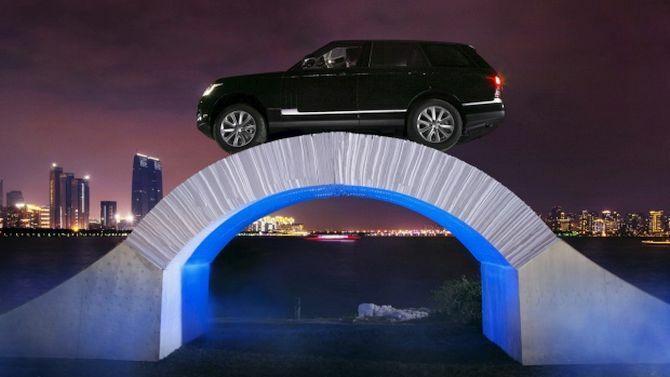 Now, completing the world’s first paper bridge crossing, Range Rover has once again made into the record books. 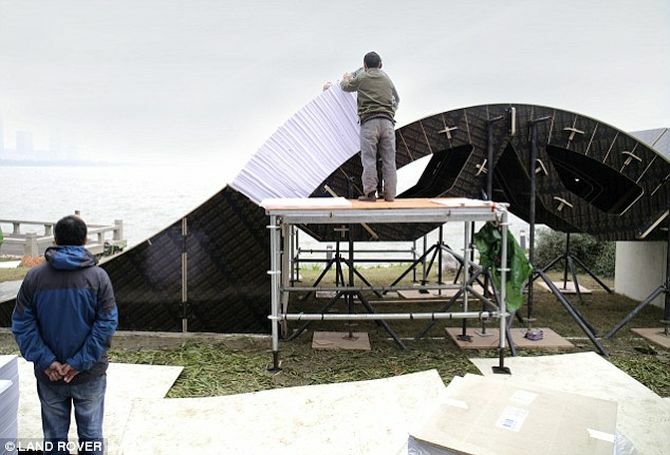 The project started with construction of a temporary wooden framework. Paper was stacked over the support which was removed after the final sheets were fitted into place. Once completed, it was Land Rover’s chief instructor Chris Zhou who managed the thrilling act. Zhou was assisted by SUV’s Terrain Response 2 and All-Terrain Progress Control (ATPC) technology which made it easier for the SUV to cross the paper bridge. The Range Rover also made a pit stop at the peak for some photographs. 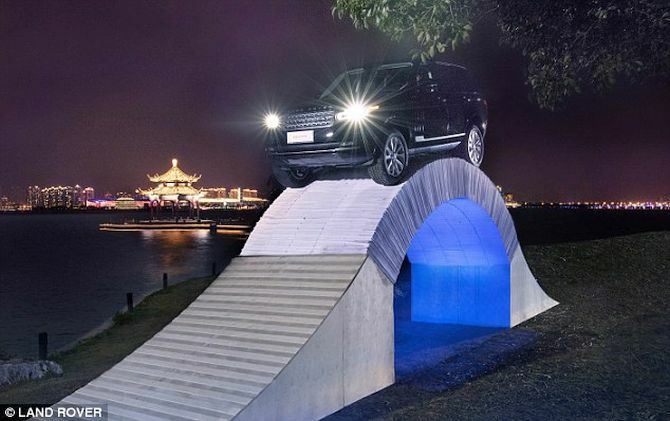 Jaguar Land Rover will be reusing most of the paper used in the stunt while the remaining will be recycled in China.